Custom CC CFO. Impossible to photograph with jittery coffee iPhone hands in the spring morning sun, kept shifting in and out of our reality. This board is glassed with a beautiful red tint. Depending on your device it may look red, pink, purple, fuschia or chartreuse. But it’s not, it’s red. The Surfy Spacebar is our house version of the mini-Simms concept. The Spacebar has foiled blended rails, single to double vee bottom, typically set as a quad. The Spacebar is a “performance” mini-Simms and very user friendly backside. This one is a custom for Matt who is the Corporate Program Administrator here at Surfy Surfy, Inc. This little custom handshaped by Mike Slingerland is pretty groovy. Resin swirls were super popular there for awhile, haven’t seen one in a few years now. This our mini-Simms inspired model called the Spacebar that we have Mike make for us. This one has one of those cool modified tail everyone gets all aggro about. Marine ply glass-on fins are always nice. Black panels are airbrushed on the hotcoat then glossed over. 5’5″ x ? x ? 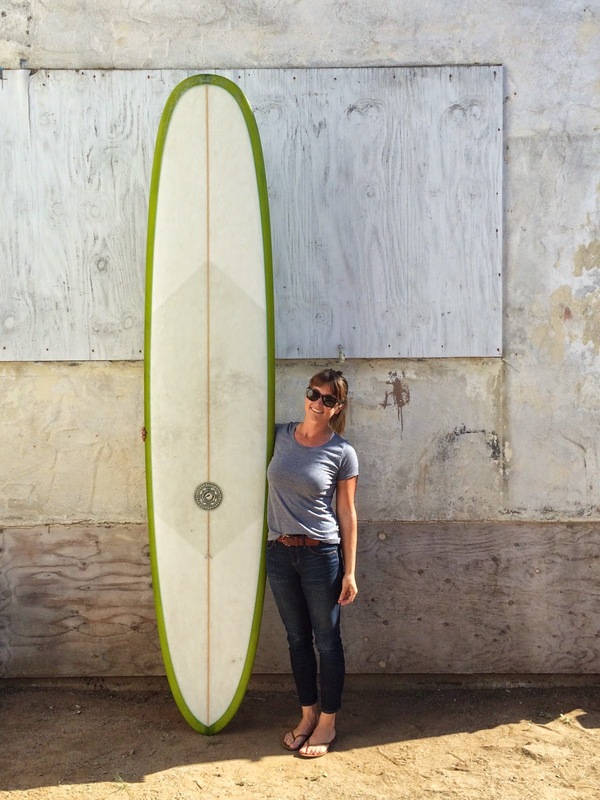 Mike Slingerland has been shaping surfboards since forever. 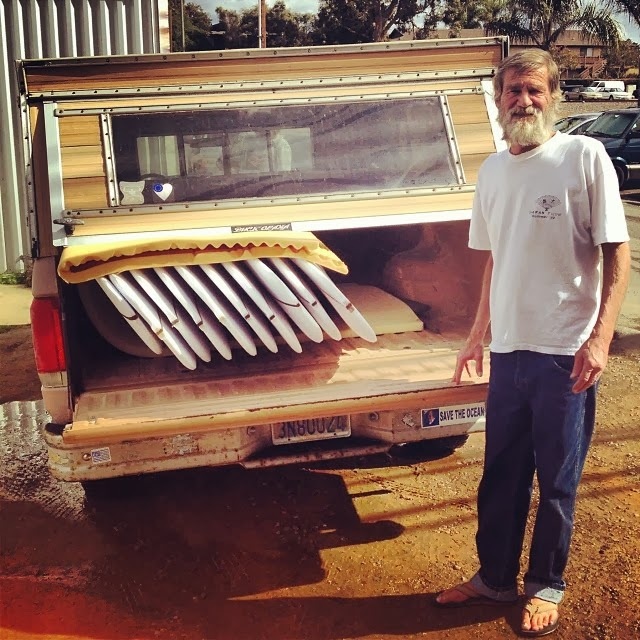 He shapes a lot of the beautiful surfboards you see at Surfy Surfy. He is also our go to guru for special projects. If you can’t find what you need off in the rack in the world visit Surfy Surfy and we will write up a custom order card and have Slingerland shape it. It’s a win win win!